Beautiful Banff, Alberta, Canada, a quiet, picturesque town nestled in the Canadian Rocky Mountains, attracts some 4 million visitors a year. With towering peaks and crystal clear alpine lakes and streams, breath-taking scenery awaits at every turn. Be inspired and rejuvenated in this UNESCO World Heritage site. The Town of Banff (pop. 8,000) is your base camp for adventure. World-class skiing, skating and snowshoeing gives way to spectacular walking and biking trails during the summer months, and our famous hot springs are yours to enjoy all year round. The town itself is peppered with intriguing museums, galleries, cafes and boutiques just waiting for you to explore. Banff is only 90-minutes from Calgary International Airport, and is easily accessible by rental car, the Banff Airporter, or the Brewster Banff Airport Express. 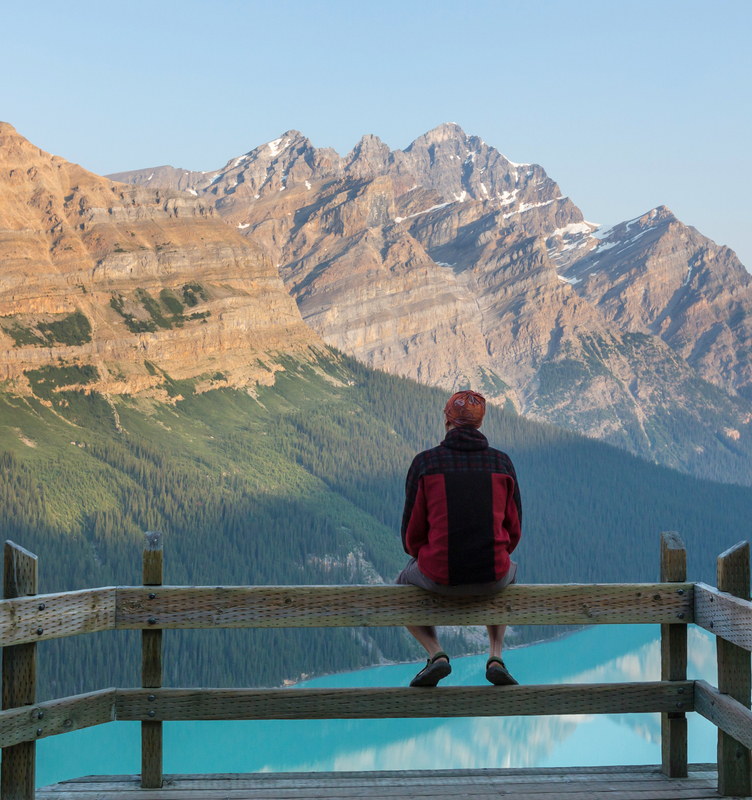 Enjoy all that Banff has to offer with our industry partners. You have the opportunity to enjoy a gondola ride up Sulphur Mountain – overlooking Banff townsite and Banff National Park, via ferrata to the summit of Mount Norquay. leisurely tours of Banff by horseback; golf, skiing, guided excursions, and so much more! The Town of Banff is located just inside the boundaries of Banff National Park. It is 128 kilometres (80 miles) west of Calgary, 401 kilometres (250 miles) southwest of Edmonton and 850 kilometres (530 miles) east of Vancouver. Commercial airlines service each of these three Canadian cities, and buses to Banff and Lake Louise run year round. Calgary International Airport (YYC) is the closest airport to Banff. Visit Travel Alberta for more information. Receive a 15% discount on the Banff Airporter’s scheduled shuttle service between the Calgary Airport and Banff. Click www.banffairporter.com. Proceed through the reservation and type ICAC2017 in the Promo Code section on the final payment page to receive the discount. Or call (888) 449-2901 and mention you are attending the ICAC Congress. If you choose to travel by private vehicle, you will find the route is well-signed and the trip from the Calgary International Airport to Banff takes approximately 90 minutes. Depart airport and take Deerfoot Trail North Highway 2. In four km, take the exit for Stoney Trail NW heading West. Signs indicate it heads towards Banff and Highway 1. Drive approximately 23 km and take the exit for Trans-Canada Highway 1 West (Banff). Continue West approximately 90 km on the Trans-Canada Highway 1 to the Banff National Park gates. Once through the park gates, continue 12 km to the first exit to the town of Banff. Travel approximately 135 km westbound on the Trans-Canada Highway 1 from Calgary, take the first exit to Banff. At the base of the ramp turn left and follow the road though town to Buffalo Street (5th traffic light). Turn left on Buffalo, drive up the hill to Banff Centre. The 6th International Conference on Auditory Cortex will be held within the boundaries of Banff National Park. The location is also within a half day’s drive of six or more National Parks. Admission to Canada’s National Parks, Historic Sites and Marine Conservation Areas is Free for 2017. Register for your free Discovery Pass HERE. Canada is turning 150 this year! Be sure to discover Canada’s national parks, heritage spaces and explore our country’s rich history in 2017. There is something for everyone! Upon arrival at the airport, most travellers opt to rent a car, as it provides them with the most flexibility to explore all that Banff has to offer. The drive from Calgary Airport to Banff takes about two hours, but it is very scenic. It is recommended that you undertake the road journey only if you can reach Banff in daylight. The scenery as you approach the mountains is very beautiful, and it would be a shame to miss it. For more information about renting a car, visit Travel Alberta. Leave the driving to someone else and enjoy the scenery on the way to and from your travel destinations. Hop aboard an airport shuttle service, a dependable Greyhound or Red Arrow carrier or choose a luxurious guided coach package. See the Travel Alberta website for details. It is your sole responsibility to ensure that you have all the travel documents necessary to enter in, or transit through, each country on your itinerary. Please ensure you verify the requirements for each country as the required documents for the outbound portion of your travel may differ from those required on the return. Along with the normal travel documents required to enter Canada, additional documents may be required depending on your country of origin, even if they are used solely to land in Canada and re-board a connecting flight. For details regarding documentation and other helpful travel information, please click here. You can download you eTA Application by clicking here.